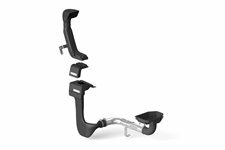 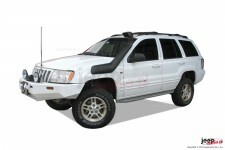 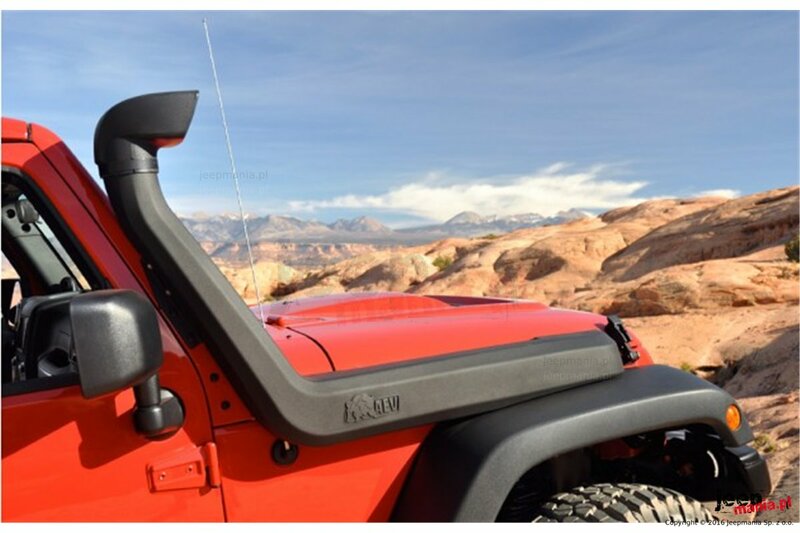 The second generation JK Snorkel features a significantly larger 4" air inlet tube diameter for increased air flow to satisfy the requirements of the 3.6L Pentastar V6, 3.8L V6 and 2.8L CRD diesel engines as well as the 6.4L HEMI and 5.7L HEMI V8 engines when used in conjunction with the AEV HEMI Airbox Kit. 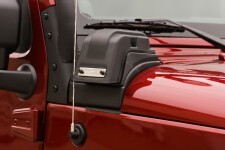 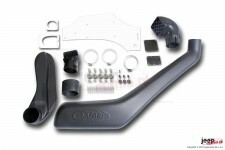 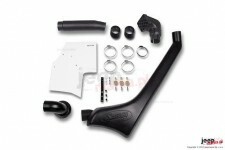 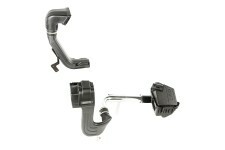 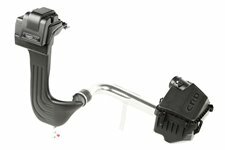 The shape of the air intake tube on the JK Snorkel has also been redesigned to compliment the contours of the JK's body. The AEV JK Snorkel now comes standard with an Air Ram inlet, which is designed to draw in fresh air and separate rain water from the air charge. 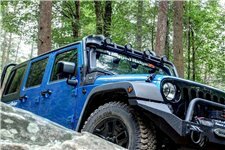 It is incredibly rugged and well suited for wooded terrain where impacts with trees and branches are likely. 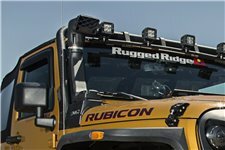 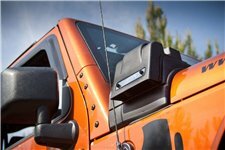 For vehicles that are exposed to dry, desert terrain where heavy dust is likely, an all-new self-cleaning Pre-Filter Assembly is available as an optional accessory. 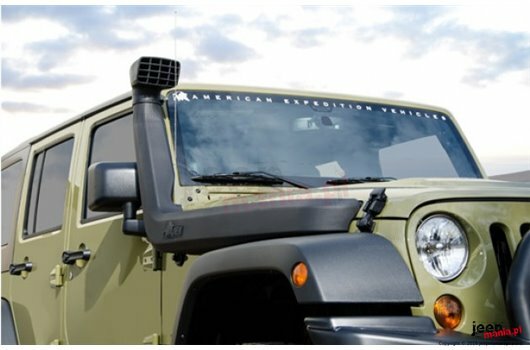 The Pre-Filter Assembly is used in both heavy duty military and commercial vehicles worldwide because of its rugged construction and extremely long service life. 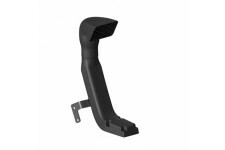 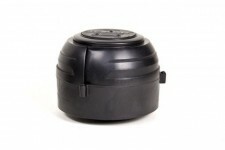 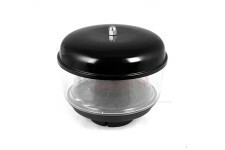 The maintenance-free, self-cleaning design separates dirt and debris from the air charge and ejects the debris out of the Pre-Filter Assembly as the vehicle travels down the road. Installation requires only minor modifications to the stock JK hood or it fits perfectly with AEV's Heat Reduction Hood with no cutting necessary. 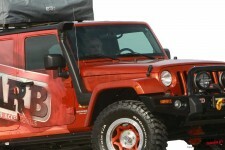 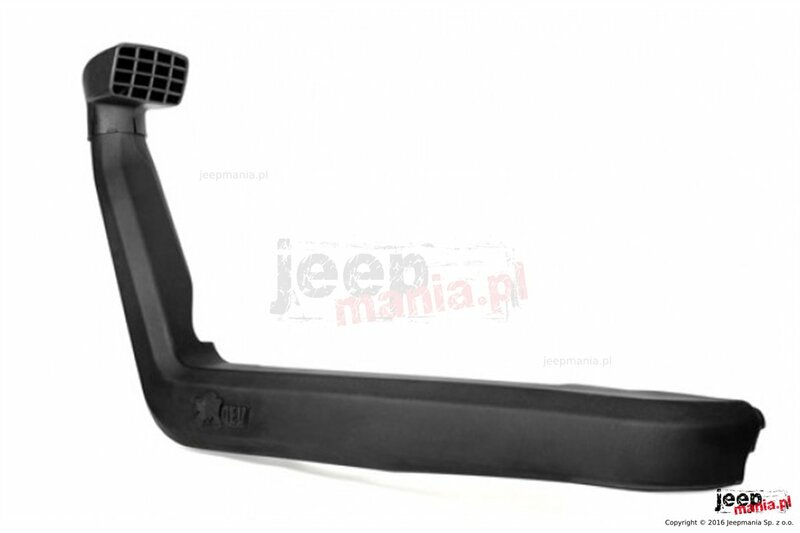 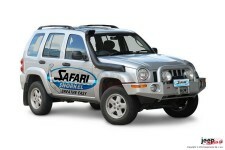 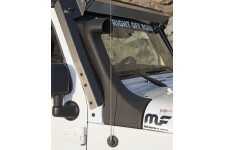 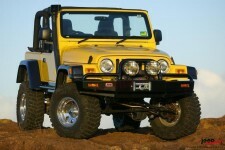 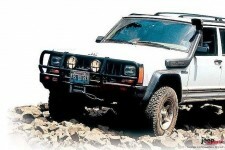 Snorkel : Jeep Wrangler JK 2,8 D, 3,8 V6 Benz.